There are many aspects of security to consider for your business whatever the size of the enterprise. The same principles apply whether you are simply working from a home workshop or office, a factory, office block, warehouse or shop. Firstly unauthorised intruders must be deterred from approaching your property by installing an obvious effective alarm system. Secondly, should a burglary attempt take place the alarm must be raised at the earliest opportunity to stop or at least minimise the consequences. Just consider for a moment the implications of a burglary to your business – loss of stock or equipment, disruption to sales or production, loss of confidential information, damage or vandalism, effectively closing down your business for a period of time however well your recovery plan is constructed. 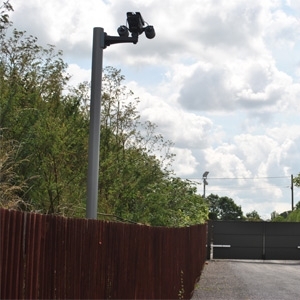 An effective electronic security system can at best keep you free of disruption and at worst minimise the inconvenience. We at Aurum Alarms will survey your premises and listen to your objectives then design an alarm system to meet your requirements. You will be offered a proposal, with options if appropriate, and a quotation. If you decide to go ahead we will then arrange to carry out the work with absolutely minimum disruption to your business. You and your customers will then have the ‘Peace of Mind’ that knowing you have an efficient electronic security system in place brings. Electronic security solutions suitable for offices, factories, warehouses, farms, building sites and many other businesses are available. Construction sites and scaffolding can be protected whilst work is in progress preventing the theft of materials and alerting you to an unauthorised access. When the job is completed the security system can be relocated to the next project. We can liaise with you to avoid disrupting the working routine. Evening and weekend installations can be arranged. Our engineers are tidy, efficient and aware of safe working regulations. 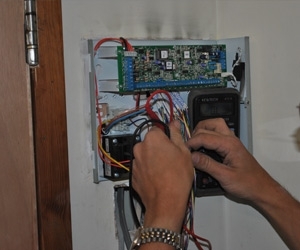 Alarm systems are designed to meet the grade requirements of insurance companies. Our free, no obligation security survey is available to you please telephone 01722 503232 or email to arrange.